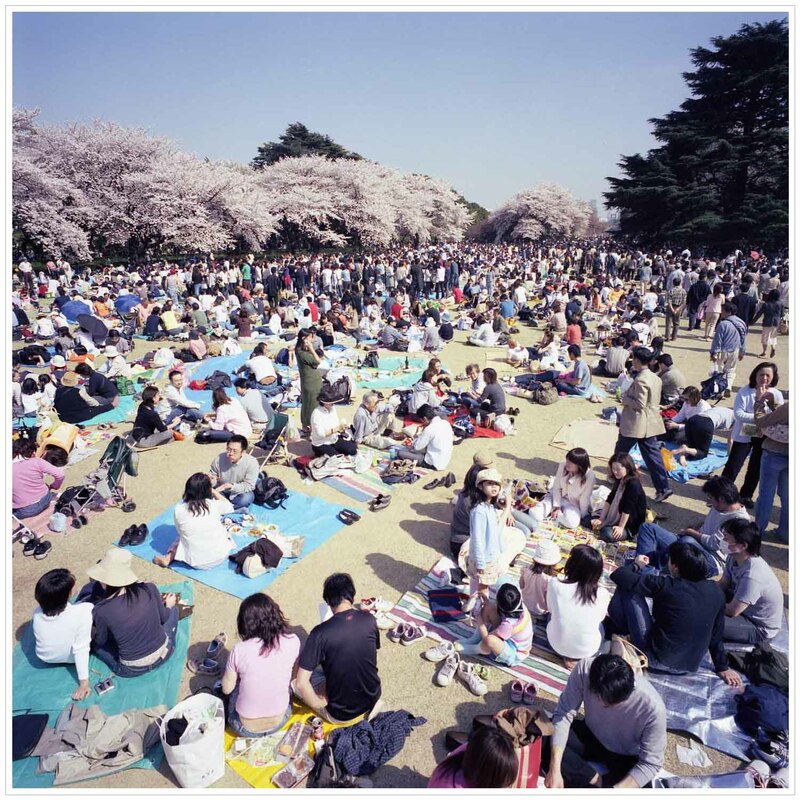 HASSELBLAD SWC-M C Biogon 4.5/38 Kodak PORTRA400VC　Regarding Shinjuku Gyoen, The place is so crowded that there are no places to sit down to watch cherry blossoms on holidays in this season. It took as long as one and a half hour to enter the garden after I paid the entrance fee. In principle, drinking alcohol is prohibited here, and no business persons secure the place to sit down to watch the cherry blossoms so the order has been kept more than Ueno Park.